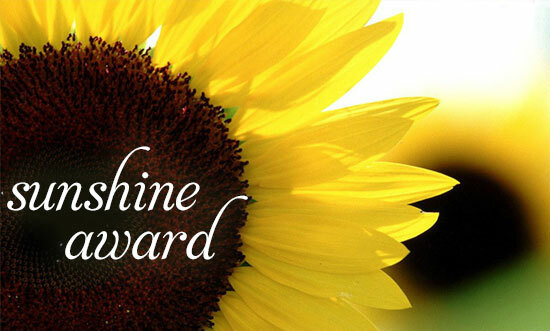 I’ve been awarded THE Sunshine Award by five different bloggers, plus once already awarded. That makes me a six time winner of The Sunshine Award. Yay ! 23-Nov-2013 – MRS N, the Author. Thank you all, very gracious of you. I humbly accept. 1. Give me sweet and gentle versus sassy and bitchy, any day of the week. I’m a lover not a fighter. 2. I don’t own a car anymore, I gave it up, too expensive. I now used car-sharing scheme zipcar when I’m back home in UK, public transport or taxi when the need arises. 4. I shot JFK. You think ? 5. I recently discovered ORS. ORS is Oral Rehydration Salts, aka electrolytes. Why is this important ? Because it’s hot were I am that means one sweats a lot. My body can get most of the electrolyte elements from salt, but not potassium. Potassium is in ORS sachet, which is small, so easy to travel with and tastes great. 6. The one from “Friends” vs Megan Fox … Megan Fox for sure. 7. I do like a couple of lady-films, Breakfast At Tiffany’s and Bridget Jones. SHHHH don’t tell the guys ! 8. Above said, generally rom-coms bore me to sleep, I’d rather be watching paint dry. 9. I looked at stab proof clothing today on the web. It’s intriguing stuff, they are actually starting to make clothes that look wearable that are tougher than kevlar. 10. Leg or breast man. Neither. Don charisma, you do have charisma by awarding me this award. But I have no clue how the hell to put up the logo….So that will take me some time, you know, cave man here when it gets to technology. So well deserved for you. I haven’t seen anyone as generous as you in sharing the joy and honor of awards. And I hope you’re feeling much better. He is probably going to hate me for this – but Don Charisma is the Father Christmas of blogging – he has kindly given me two awards and it certainly made me feel festive! Blogging is an interactive activity. Yes, we all love writing but there is a huge kick in just one person coming back to you and saying “I liked that”. Twitter is a bit like Alice in Wonderland – Facebook is posting in the comfort zone of family and friends who mainly know you well. But wordpress is where you put your hopefully best writing food forward. Thank you Don Charisma for your diverse and versatile blog and for you generosity. Oh good – see you around. This is awesome! I am new to blogging. I love it so much. I feel like it frees my heart and soul! Omgosh! Yes please! I’d be flattered! Congrats and thanks, O Charismatic One. Well done to you! Keep on writing! Can’t wait to see new posts from you in the near future. Congrats, my dear DC. Very well deserved, indeed. Thanks, DC. Couldn’t get the humour working that day, but the writing still came. And thank you very much for nominating me! I sure could use some Sunshine! Yep, always up to something…I hadn’t even seen this post. Gesh. This made ​​my day. Thank you very much. it has been snowing all day in Malmo, Sweden. sunshine was welcome. A big hug to you. You are weclome, sorry a little behind on my comments ! Gracious what a list! Funny thing happened to me. . . The award showed up on my phone but not on my computer. . . Funny ? Don Charisma’s infiltrated your phone ! All good with you? how’s zero to hero going ? I stopped as there was so much technology I had no idea about. I think I have someone to help me organize the site with some categories over the weekend. Baby steps. . . . I am good. . . . how are you ? You must spend hours on your blog. . . . so glad things are going so well with you….you are remarkable. . . . . Thanks Anne … Yes there’s a lot of technology I guess, I’ve been around it all my life, so much of it’s second nature … one step at a time like you say Rome wasn’t built in a day … Yes takes up quite a lot of time, but I enjoy it and it suits my and my business partner’s goals, so all good. You are, kind, gentle, and encouraging as is Shaun. People need friends and or acquaintances with those qualities. You are hard working available. I know what you mean , I love the writing and the thought that I have something meaningful to do. And I want to bound my pots about India for my family , later on to read my words and know me at least a little after TalesAlongTheWay is no more! My father gave me how to win friends and influence people by dale carnegie. I reckon the cruel and unkind can get ahead, but who wants to spend their life looking over their shoulder ? So when does the TalesAlongTheWay book come out, that would be a good read ! That is an old book that I have only heard of but not read…..but the wisdom continues. Well, I love to write and share stories and am amazed that others like to read it. India was a very special experience for me and I love sharing it with others. Thank you for your friendship! Ah, it’s the charismatic person’s bible … good read entirely recommended. I’m the same, but I think people realise that we do out best to write and do what we do as best we can, and that’s enough … the superficial types are largely elsewhere on the net. And that is fine with me! LOL. . . will try to read it ! You are so very kind. I really need sunshine today. Thanks so much Don. You are welcome … no Sun today in Spain ? No, only a little and inside me not so much.